Services Marketing Mix refers to the combination of marketing activities an organization engages in to promote and sell intangible services, as opposed to tangible products. In addition to the four Ps of traditional product marketing--product, price, place and promotion--the services marketing mix includes the three Ps of service marketing--people, process and physical evidence. The Services Marketing Mix is also referred to as the Extended Marketing Mix. In his seminal book, "Basic Marketing: A Managerial Approach," E. Jerome McCarthy introduced the four Ps classification system that is the cornerstone of traditional marketing. Product refers to the tangible and intangible benefits of a product or service, and how it meets customers' needs. Price refers to the appropriateness of the pricing structure of a product or service. Place refers to the availability to customers of a product or service. Promotion refers to efforts to make a target audience aware of a product or service. Unlike products, which are consumed independently from the individuals responsible for creating them, people play an integral role in the consumption of services. Customer satisfaction for services consumption is based upon the quality of interactions with the personnel who provide the service. In addition to skills and knowledge relative to the provision of services, services personnel must also have an aptitude for interpersonal communication. Process refers to the systems an organization implements in order to facilitate the delivery of services. Efficient and effective processes allow service delivery personnel to anticipate customer needs, identify and implement appropriate solutions, and respond to customer feedback in order to improve service delivery. Service delivery processes can improve customer satisfaction, increase customer retention, and increase the value of a service offering. Physical evidence refers to the tangible and intangible elements that comprise the environment in which services are delivered. Tangible aspects of service delivery are the physical elements of the service environment that influence customer opinions about the overall service. For example, a clean and comfortable restaurant interior can improve customers' perceptions of the dining experience. 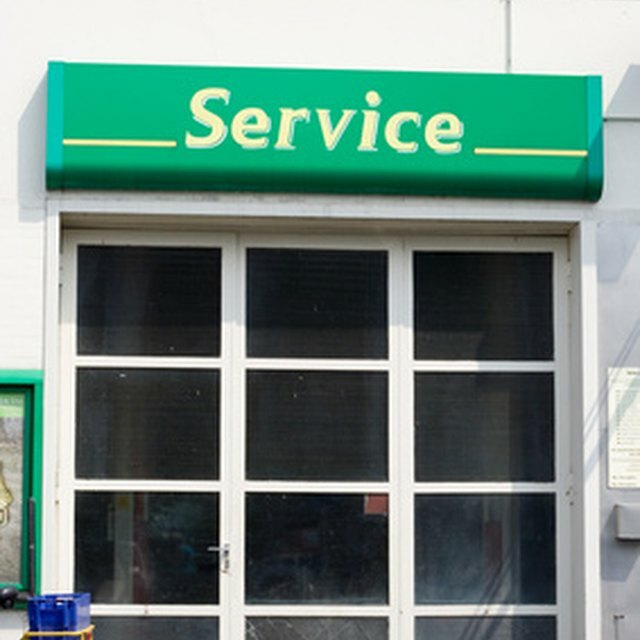 Intangible aspects of service delivery--such as reputation and the opinion's of other customers--are the immaterial elements of the service environment that influence customer perceptions. In order to maximize the benefits of the services marketing mix, businesses must evaluate mix coherence and mix adaptability. Mix coherence means that each aspect of the marketing mix reinforces the others. For example, an expensive meal served on paper plates is unlikely to achieve high customer satisfaction. Mix adaptability refers to a business's ability to alter the marketing mix in response to changes in the market or service delivery environment. For example, a provider of computer support services may have to lower its prices in order to compete with new entrants to the market that provide similar services at a lower cost.